It does not happen every day that we discover new mammal species, especially not carnivores or predators. Yet, over the last years, researchers have been studying the genome of the Egyptian jackal, and came to a surprising result. There is actually a wolf species of an ancient lineage hiding in plain sight in Africa: the African wolf. Is it a jackal or wolf? Several years ago, researchers considered the Egyptian jackal as a rare sub-species of the Eurasian golden jackal. It had characteristic canid appearance, but looked in fact more like a wolf than a jackal. Already back in 2011, Rueness and colleague published a study showing that the mitochondrial DNA of the Egyptian jackal was more similar to the grey wolf than golden jackal. As a result, the researchers advised to distinguish the Egyptian jackal further on as the African wolf. Our results show that C. a. lupaster […] represents the only grey wolf taxon known to inhabit the African continent. 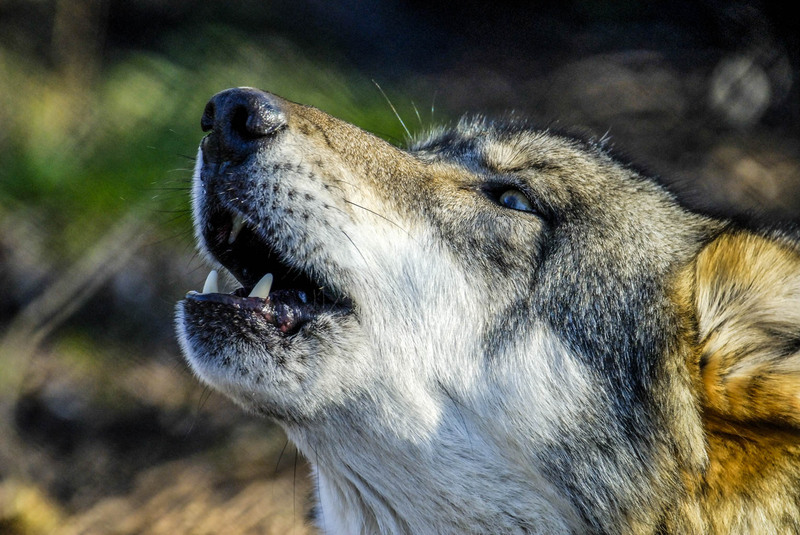 More wolf species hiding under the radar? In the following years, more researchers focussed on the rediscovered wolf species. In 2015, Keopfli and colleagues carried out another thorough genetical analysis on the canid species. Again, the results showed that the African ‘jackals’ formed a distinct species that separated from the Eurasian golden jackal more than one million years ago. By 2017, Viranta and colleagues published a comprehensive article called ‘Rediscovering a forgotten canid species’. The outcome is clear, the African wolf is not longer classified as golden jackal. The African wolf is more closely related to the grey wolf itself. The researcher also note that there are most likely more wolf sub-species hiding in the Himalayan and Indian regions, which need more research. Despite being separate species, there are reports of hybridisation between different individuals. This also demonstrates the difficulty when it comes to distinguishing canids. A wolf shares 99,96% of their DNA with domesticated dogs, an African wolf resembles the golden jackal, and all seem to be able to produce offspring together. Furthermore, the distribution of some of these species overlap, for example in Europe. But no matter what name tag we put on these animals, they will try to adapt and survive in a human-dominated world.